“Papaw” Jim Waddle has devoted much of his non-vocational, waking hours to choral singing. Long an advocate of Robyn Lana and CYC, Jim officially joined the organization in early 2011 to manage the Satellite Choir program and assist with other operational details. Now as Operations Manager, Jim is providing program coordination, logistics, support and nurturing to all CYC choir members, staff and parents. A graduate of the University of Cincinnati’s College of Business with a Bachelor of Science in Industrial Management, Jim’s 45-year business career has seen him in various roles from a co-op engineer turned Marketing & Communications Manager for a hand tool manufacturer, President of a local exhibit designer and producer, and Owner of a manufacturing services rep group. His operations and project management skills and expertise have been acknowledged by many companies: suppliers and customers alike. 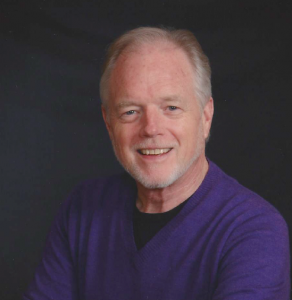 Long an advocate for the mentally-stimulating aspects of music and rhythm, Jim is a trained facilitator for HealthRHYTHMS drumming and Clavinova Connection keyboard, evidence-based music and wellness protocols. He served on the board of The Arts & Humanities Resource Center for Older Adults, now known as Creative Aging Cincinnati for eighteen years, ten as its Board Chair. He is also associated with Global Music & Wellness, a non-profit organization that advocates for recreational music-making and community building. Jim was a 28-year member of the Knox Choir which has performed before various audiences of the American Choral Conductors Association, Cincinnati Symphony, and Carnegie Hall. He has sung under the direction of Earl Rivers, Elmer Thomas, John Leman, David Willcocks, George Guest, and Stephen Darlington. Going back in time, Jim was a founding member of the Fayette County Boys Choir, a participant in the All-Ohio Youth Choir’s State Fair and European Tour Choirs, and drum major for the UC Marching Band. Jim was a long-time operations volunteer for The Vocal Arts Ensemble of Cincinnati. Other interests include cooking, travel, quilting, and maintaining the 166-year-old Waddle homestead near Washington Court House, Ohio. He is the proud father of two married daughters, Jamie and Carrie, and “Papaw” to Kelsey, Cole, Colin and Kylie.